What is the biggest obstacle to creativity? “What is the biggest obstacle to creativity? Attachment to outcome. As soon as you become attached to a specific outcome, you feel compelled to control and manipulate what you’re doing and in the process you shut yourself off to other possibilities. Creativity is not just about succeeding. 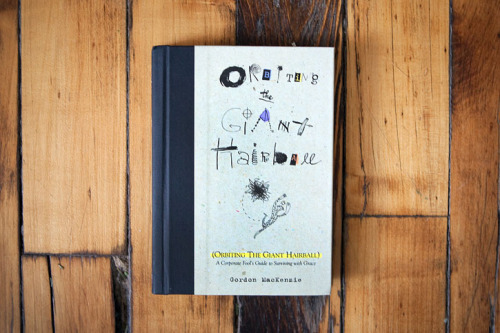 It’s about experimenting and discovering.” – Gordon MacKenzie, from his book Orbiting the Giant Hairball. When you approach a new project or idea, how often do you find yourself focusing on the outcome of potential success (or failure)? What if you didn’t think about the outcome at all (at least for today)?